As a junior doctor, my passion lies in the area of preventive medicine – by this, I mean looking at how our lifestyles (in particular our diet, physical activity, stress management and sleep) affect our health. Most importantly, it means learning about and researching how we can optimise these lifestyle factors to optimise our health and well-being – and ideally prevent many of the chronic diseases so common in our Western society today (e.g. chronic obstructive lung disease, ischaemic heart disease, cancer and type 2 diabetes mellitus for example). When I was asked by Siel Bleu to write about the benefits of exercise for chronic disease prevention and treatment, I, of course, jumped at the chance! 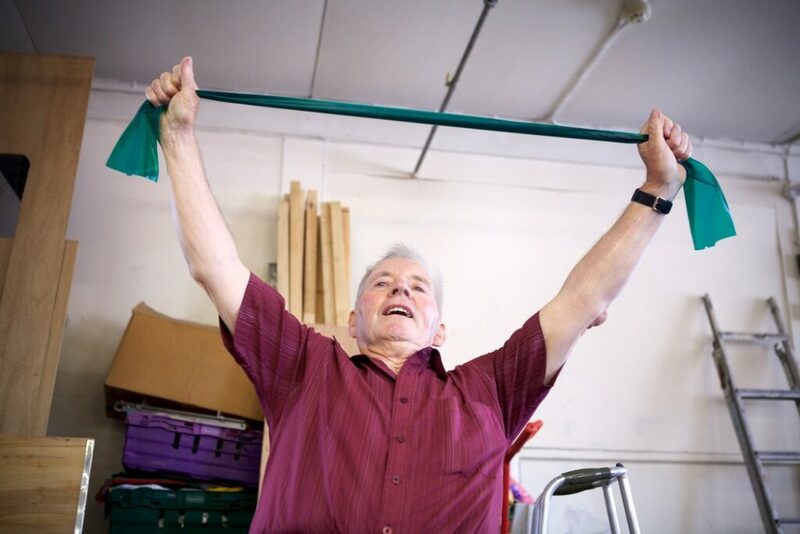 I love seeing and reading about the valuable work that Siel Bleu do, providing life-enhancing exercise programmes to older adults and patient groups, and I am very proud to be asked to write for their lovely website. Finally, as if that wasn’t evidenced enough, I want to briefly mention a keyword I’ve used in the title of this article – independence. If you had to define it, what would that mean to you? To me, in terms of health, it means the ability to live your life and care for your own physical needs without requiring the help of others. It ties in closely with our individual functional capacity. As we age, we become frailer, and a key contributor to that is the fact that our muscle mass declines each decade after the age of 30 by 3-8%, and the rate is even higher when you go past 60 (4). Loss of muscle tissue (also known as ‘sarcopenia’) negatively affects our strength, balance and ability to function independently, and as such, is a big contributor to disability in older adults. By engaging in a regular physical activity, both aerobic and resistance based, whether adapted for your level of fitness or not, you are doing your very best to maintain that strength, fitness and most importantly, functional capacity, to allow you to age in as healthy and happy a way as you can. So why not start today? Look at your day to day physical activity level, and see where and what you can improve. Sustainable changes are those that are small, achievable, realistic, and importantly, enjoyable to you – and even the smallest of changes to improve your health is better than none at all. Why not try Siel Bleu’s amazing community classes or sign up for their newsletter and receive 3 Free At Home Exercise Guides straight into your inbox (http://bit.ly/SBIAthomeworkout)! Kohl, HW, Craig, CL, Lambert, EV, Inoue, S, Ramadan, J, Leetongin, G, Kahlmeier, S. The pandemic of physical inactivity: global action for public health. Lancet 2012 380 (9838): 294-305. Healthy Ireland Survey: Summary of Findings (2016). Department of Health, Ireland. The National Guidelines on Physical Activity for Ireland (2009). Department of Health and Children, Health Service Executive, Ireland. Volpi, E, Nazemi, R, Fujita, S. Muscle tissue changes with ageing. Curr Opin Clin Nutr Metab Care 2004. 7 (4): 405-410.